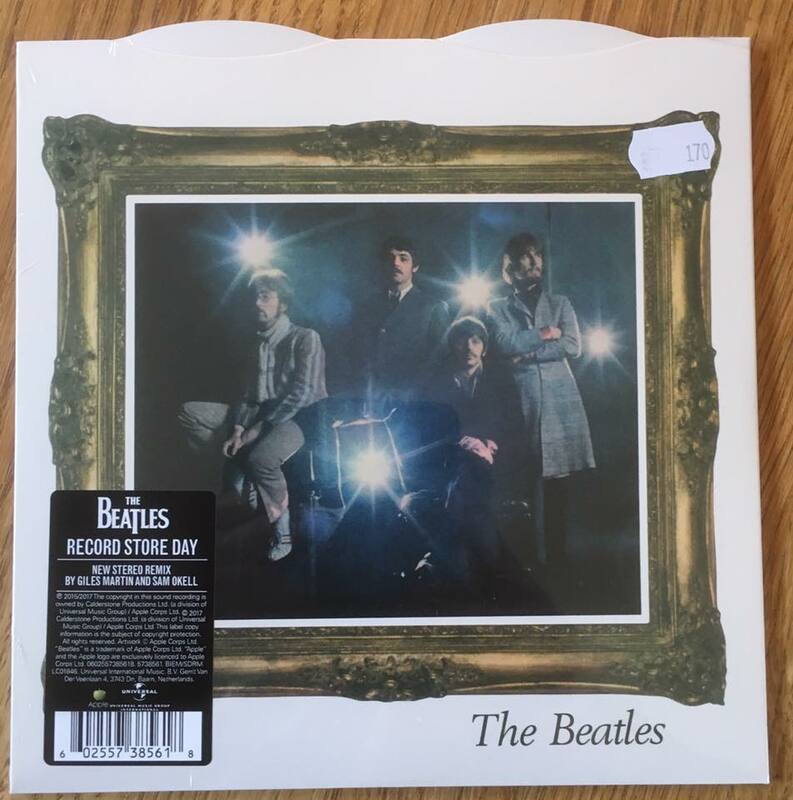 Inspired by this Beatlesblogger post, I thought I should give an account of my experiences of Saturday's Record Store Day. I live in a small town just outside Oslo, the capital of Norway. It's a 15-20 minute drive. However, there's a good record store in my town (old & new, vinyl and CD's) who were participating with RSD, so I thought I'd just pop in there when they opened. This I did, I arrived just seconds before opening time, and only two more people were waiting for the store to open, neither were Beatles fans. 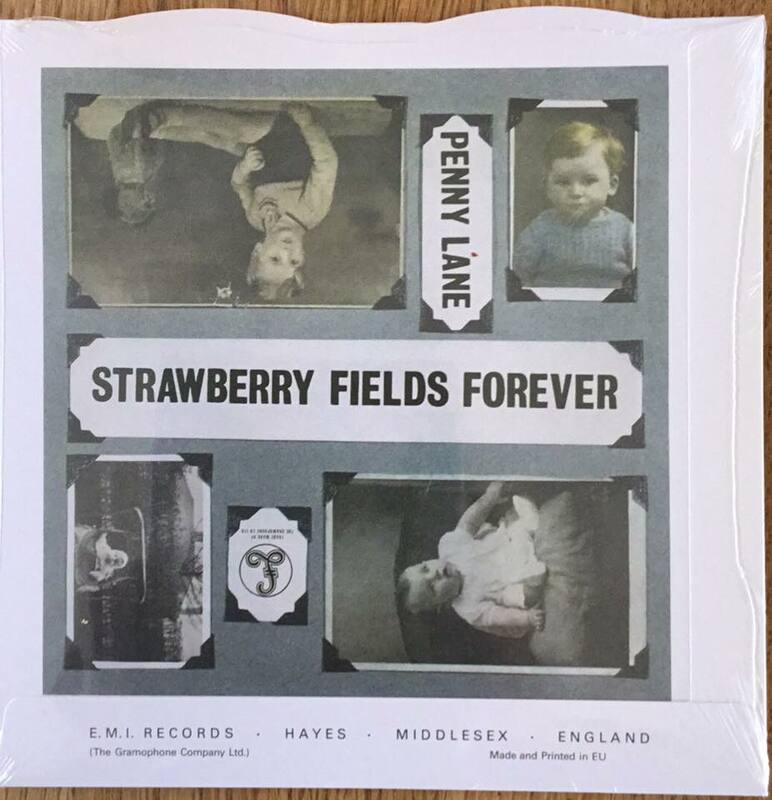 I only knew about the McCartney/Costello cassette and the anniversary release of the "Penny Lane" /"Strawberry Fields Forever" single, but I only expected to find the latter, as I thought the cassette would be too rare to find in Norway. 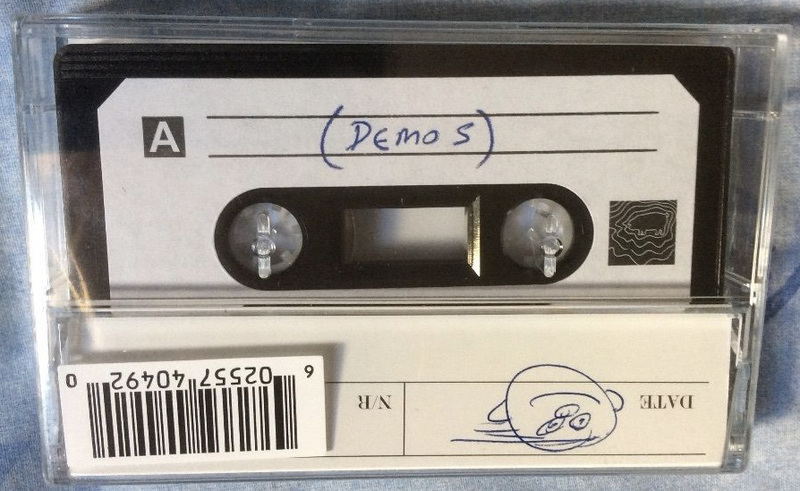 Complete with doodle, I believe the cassette is an exact copy of McCartney's personal demo cassette from the 80's. 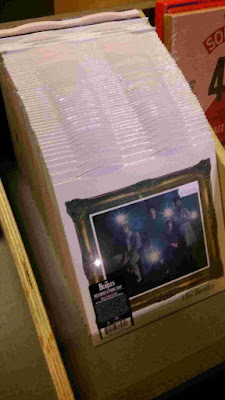 The store opened and lo and behold - they did have the single. Furthermore, they only had one copy. It was a bit expensive at 170 NOK (about 20 US dollars), but nevertheless, I was happy to find it and purchased it. It was shrink wrapped in plastic, which is something not normally done with singles in Norway, and the sleeve was printed on much harder paper than my 1967 original U.K. copy. Not quite as hard as an E.P. but harder than normal single sleeves. As I paid for the item, I chatted with the guy at the till, and enquired about the cassette. He told me that he had ordered it, but it hadn't arrived. I was surprised that he actually had managed to order it, this meant it could be ordered from Norway after all. 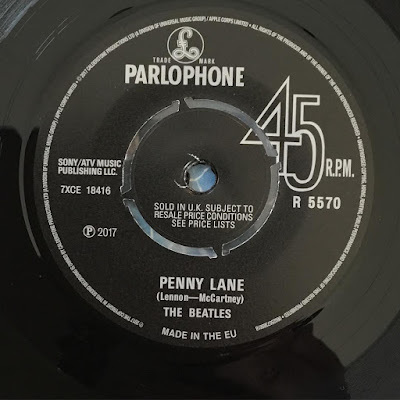 The label of the Penny Lane side of my copy of the single. Back home, I opened Facebook and posted a photo of the single, and told everyone I had gotten hold of the only copy available in my town. 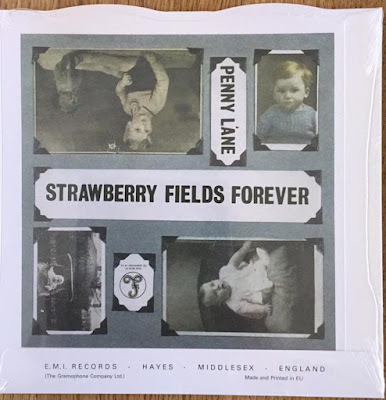 I listened to "Penny Lane" just once on my record player, and was rather unimpressed with the pressing (a bit shrill) and the mix (rather mono-like, I noticed very little stereo separation). "Strawberry Fields Forever" I didn't need to listen to, as I expected it to be the same stereo mix as on the "1+" music video. 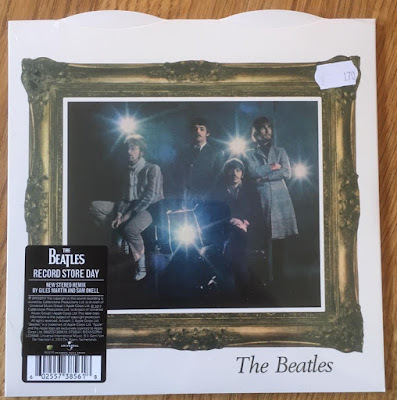 After a while, a Facebook friend from Oslo posted that there were plenty available of the Beatles single in two participating records stores there, "The Garden" and "Big Dipper Records". In the thread, I asked him about the McCartney cassette, but he was unaware of it and hadn't been looking for it. But a friend of his chimed in later in the same thread that he had seen the cassette, maybe five copies in "The Garden" and fifteen in "Big Dipper Records". Meanwhile, cassettes were popping up "all over ebay". Having seen my post about the single, a mate called me from "The Garden" and told me they had eleven left of the Beatles single. It was even 20 NOK cheaper than the one copy I had bought in my local record store. I asked him about the McCartney cassette. He too was unaware of its existence, but looked around and located the two copies they had left. I asked him to get me one, and this he did! ...and a huge stack of the Beatles single. 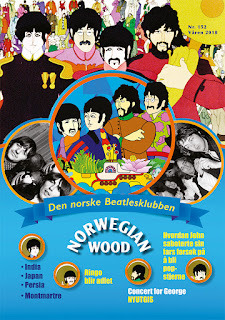 So it seemed there were more of these Beatles and related items in Oslo than anywhere else on the planet! How very strange. 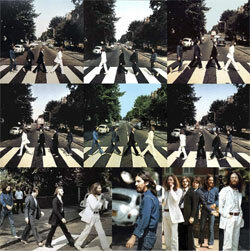 The single was supposedly pressed in only 7,000 copies and the cassette just 2,500. So how come so many of them ended up in Norway? 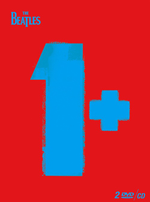 Perhaps the so called "limited edition" items for RSD should all be individually numbered, so that we all could see if the numbers were correct? If this means that the single will now be pressed up in a second printing for general release, may I suggest pressing it on coloured vinyl, so that those of us who went hunting on Record Store Day will have something exclusive after all? By the way, the "strictly limited" 2014 Black Friday re-release of the "Long Tall Sally" EP is still available from the U.S. Beatles store, for only $20. Colored vinyl copies later, agree with your Suggestion Roger! In all fairness, here's a review of the mixes (posted by tezca at the Steve Hoffman "Music corner" forum. I managed to obtain a copy of PL/SSF from the RSD. This new mix offers a new sound proposition: centered vocals; a huge bass; clarity of guitar parts, preserving the big muscle of the song as a driving force in a different angle. If in its first pressings, and on the radio back then, the music was intriguing, here we have the same essence presented in new depths and horizons. My only comment is some vocals (choruses mainly) have been sent back, following the 2009 Remasters tendency's. This mixes feel alive, as if offering a new gamble to my ears (the "organic" adjective is very much in vogue now days, but in truth I do not understand its meaning, sorry), like a multicolor psycodelic sphere. It does not impose his presence to the listener: it is like open a new book. And on my take SFF shows unespected pathways to re-create a piece. Personally I think this is one of the merits of this new mix single: the work as a whole is opening new venues to lisent something we know, in a round, new finished way, possibly like the gravitas the Mono has since the beginning. If that's the case the new whole mix in the album could be a very nicely, palatable experience for many of us. 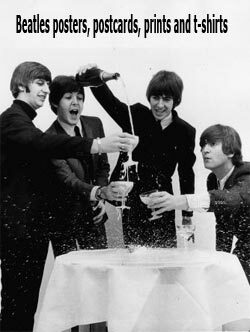 Who knows, maybe we will witness another Beatles revival from the most important thing the did: the music. what was the Price for Single and MC? In the record business, "limited" means limitid to less than 10 000 000 copies. 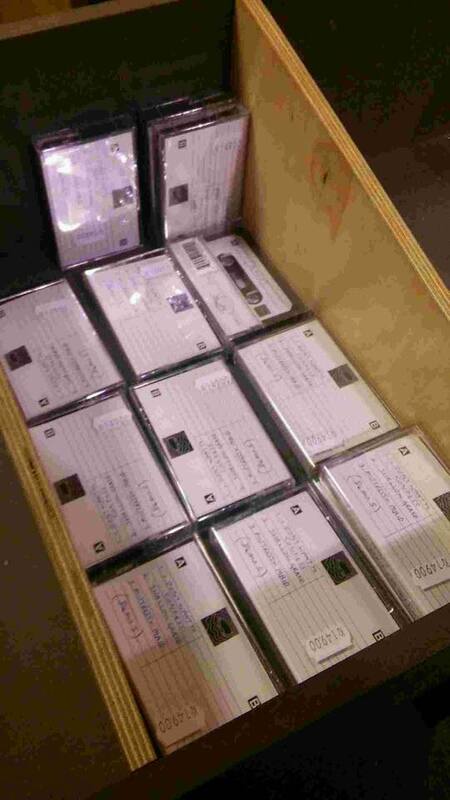 Remember the limitied edition of the Travelling Wilburies CD box set? When the limited edition sold out (it sold out in a few nanoseconds), they printed more copies - but they, thankfully, made the new box in a different color.